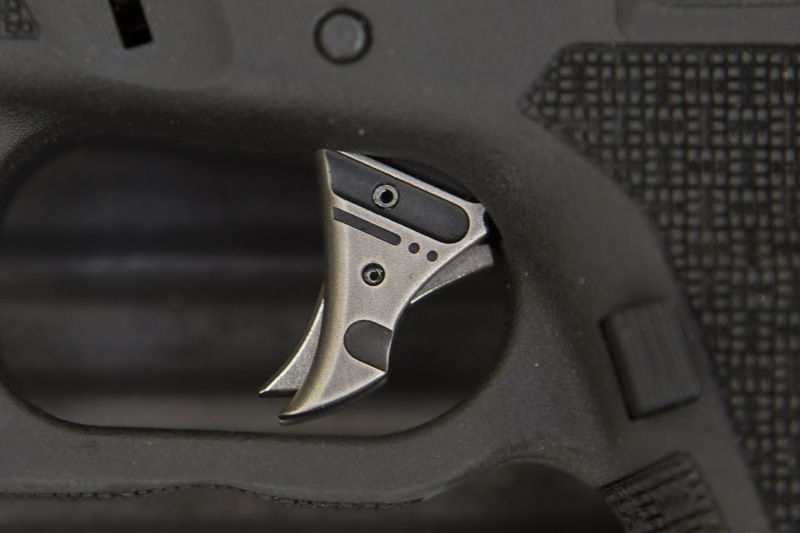 Legal Manufacturing, LLC, an industry leader in nickel boron plating released their latest offering, the NIB BATTLEWORN® Mod 2 Glock® 21 at the 2017 NRA Annual Meeting and Exhibits (NRAAM) in Atlanta. 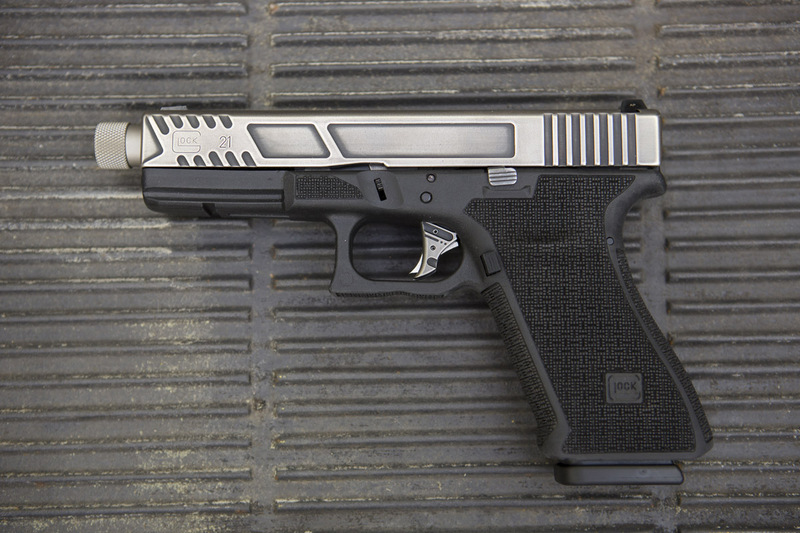 The NIB BATTLEWORN® Mod 2 Glock® 21 is a factory Glock® modified to enhance functionality, balance, and assist with weapon manipulation. 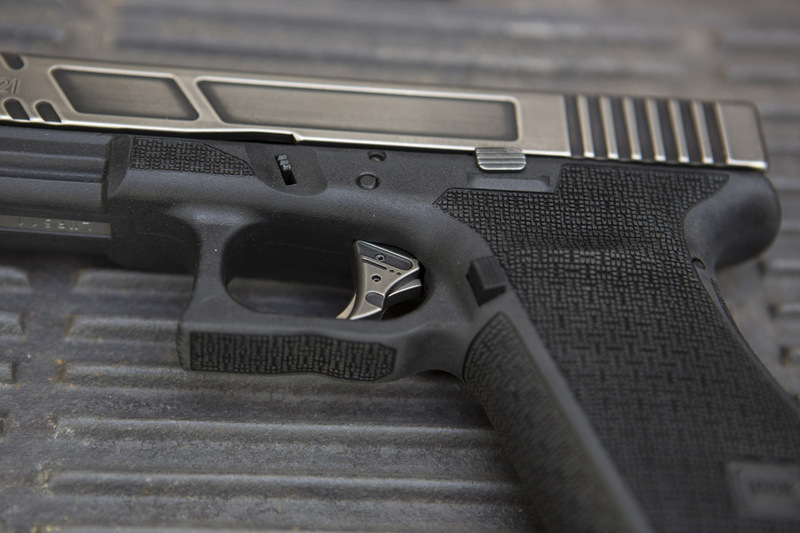 High resolution, precision laser stippling, shaved finger grooves, and aggressive trigger guard undercut. 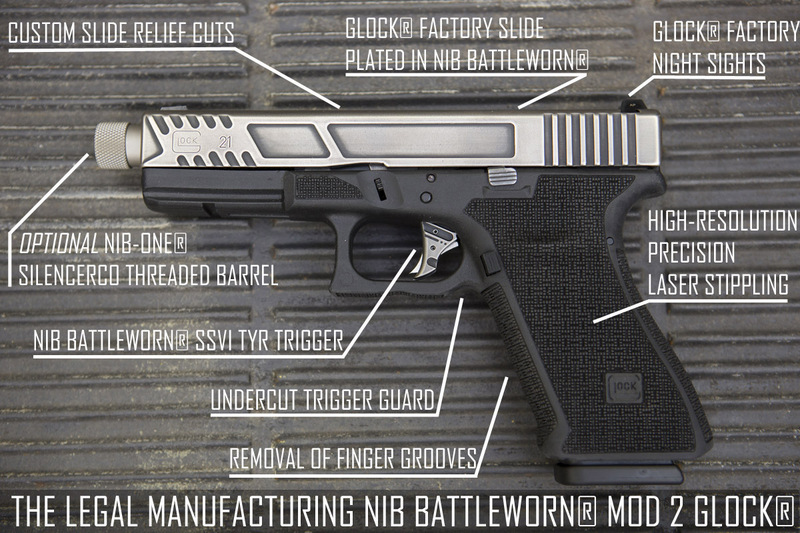 Legal Manufacturing offers the NIB BATTLEWORN® MOD 2 Glock® for third generation, models 17, 19, and 21. NIB BATTLEWORN® is a patent‐pending nickel boron plating process that offers wear resistance while simultaneously reducing friction to aluminum, steel, and titanium firearm surfaces. NIB BATTLEWORN® is an exclusive dark shade of gray with an aesthetically distressed, modern “battle” finish. Legal Manufacturing LLC’s proprietary plating process creates a smooth and uniform surface and increases the hardness of the plated part to over 70 Rockwell hardness. NIB BATTLEWORN® does not add significant dimension to the metal surface ensuring it can be applied on nearly all firearm components with no adverse impact on operation. Please read our article for more information regarding our NIB BATTLEWORN® here. Legal Manufacturing, LLC’s NIB BATTLEWORN® MOD 2 Glock® 17, 19, and 21 is now available for purchase now at KF Armory, LLC.